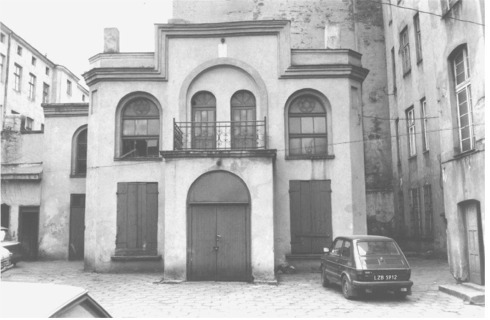 The single surviving synagogue of Lodz, located at 28 ul. Revolucji 1905 (formerly ul. Poludniowa 28), after a 1987 fire. The synagogue was probably designed by Gustaw Lande-Gutenteger and dates from between 1895 and 1900. See the next page for a further description and photo after restoration.